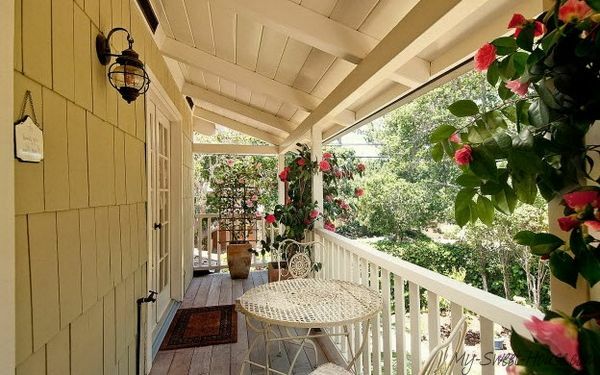 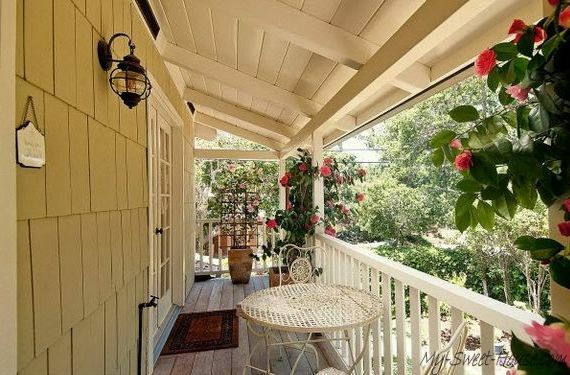 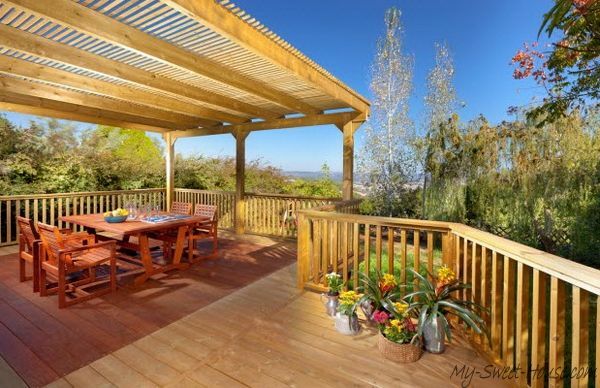 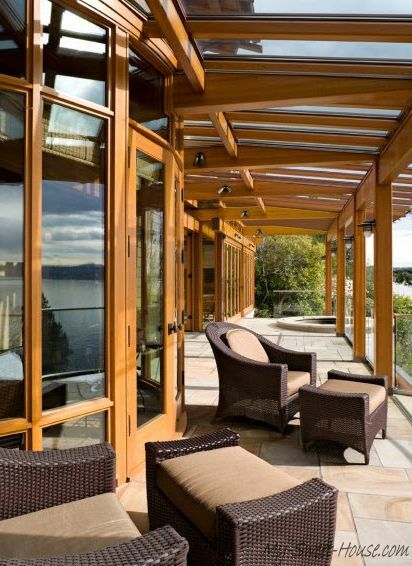 Beautiful veranda can make any summer home more attractive and spacious. 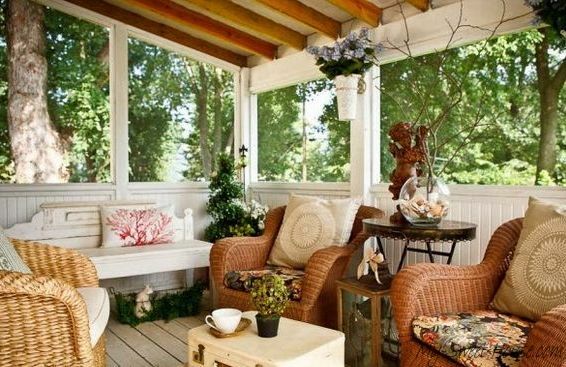 It is especially nice to spend summer days, gathering the whole family and drinking delicious tea. 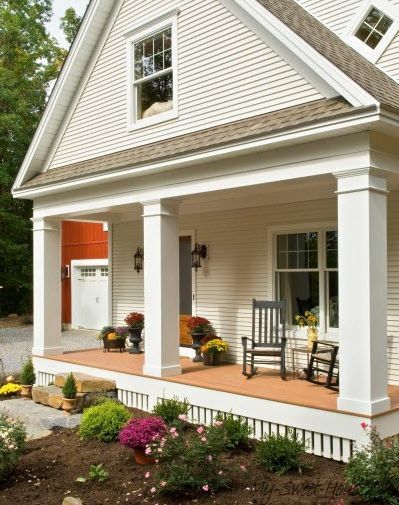 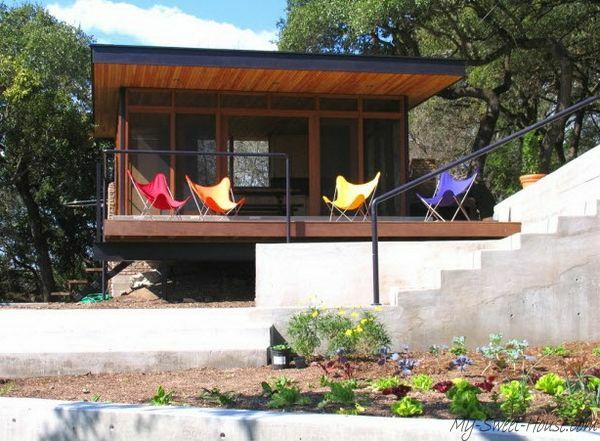 That is why it not a secret that many people want to attach a porch to the house. 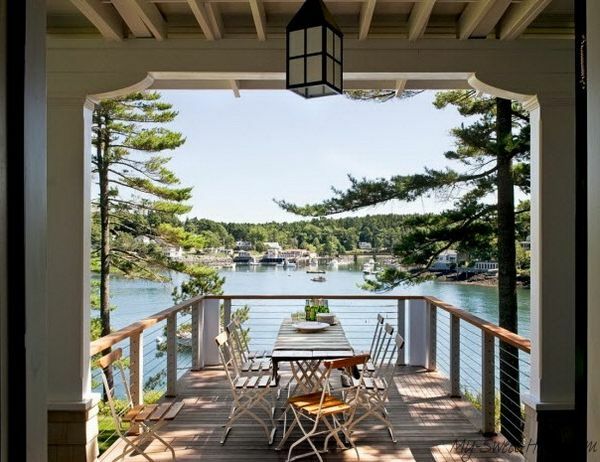 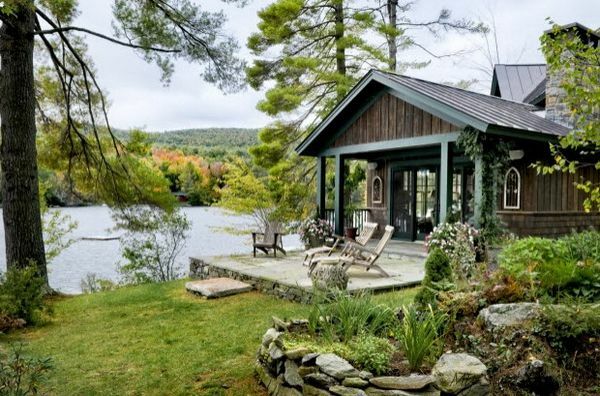 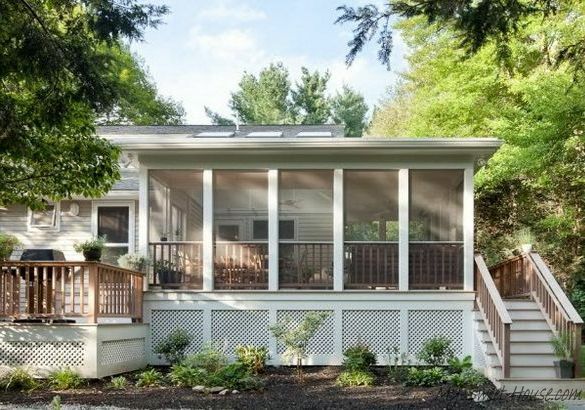 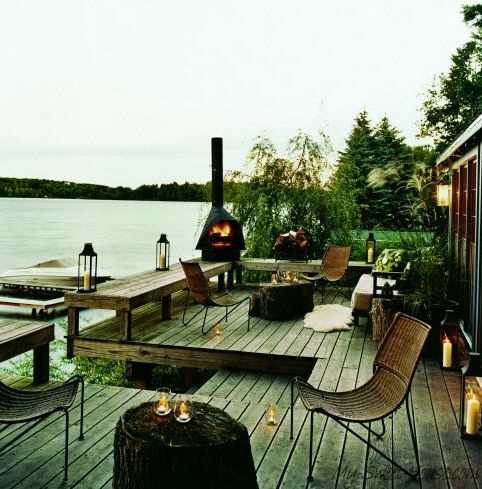 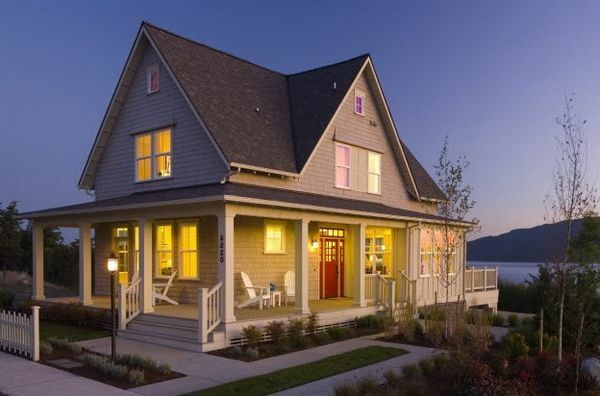 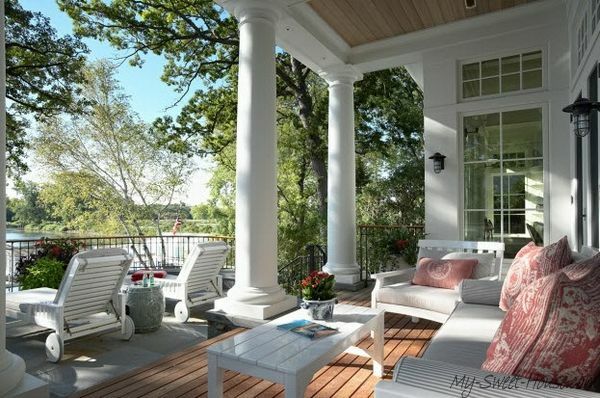 Definitely, it is better to build a holiday home or cottage with a veranda, or foresee the possibility of “docking” front patio to the house. 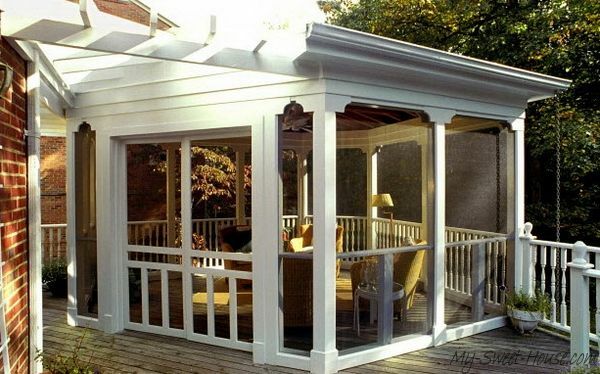 However, you can attach a veranda to almost any building; because of it has pretty simple construction design. 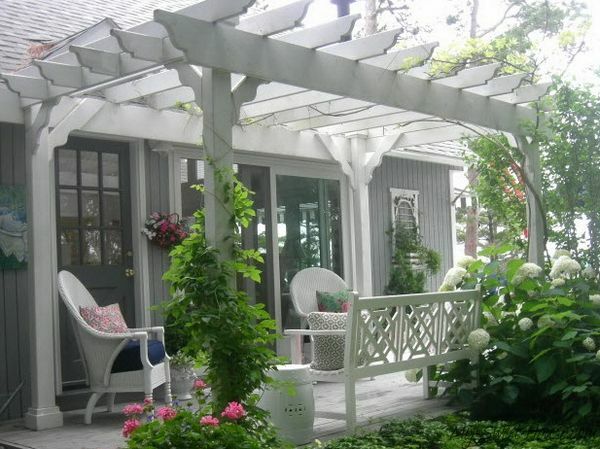 First of all, it is necessary to develop the project plan. 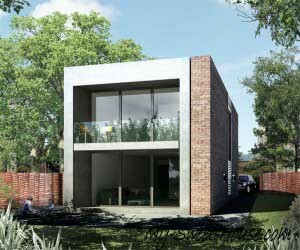 Complete project will be the key to a successful and long-lasting extension in future. 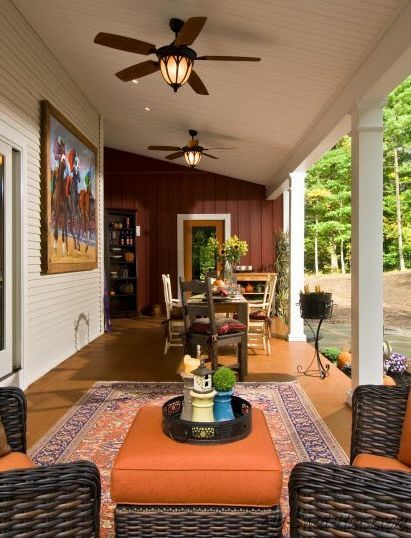 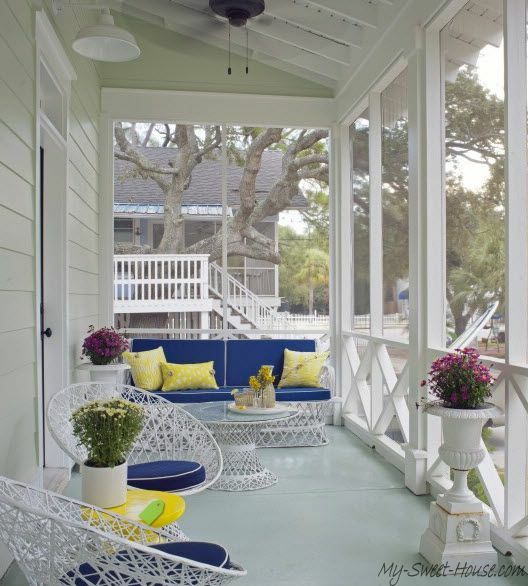 Interior design of veranda should match the style of the house. 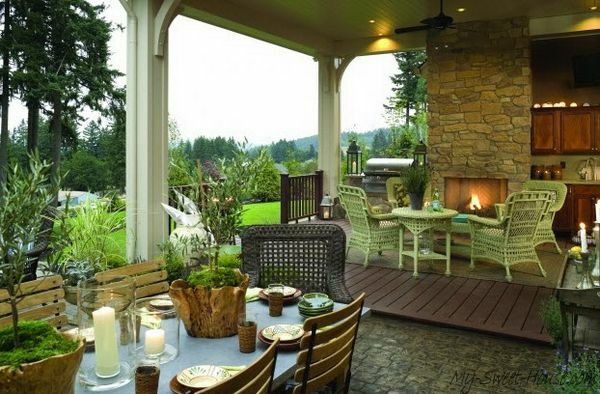 It should be its harmonious continuation. 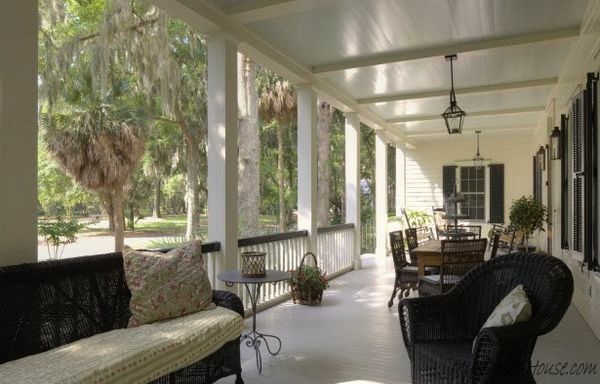 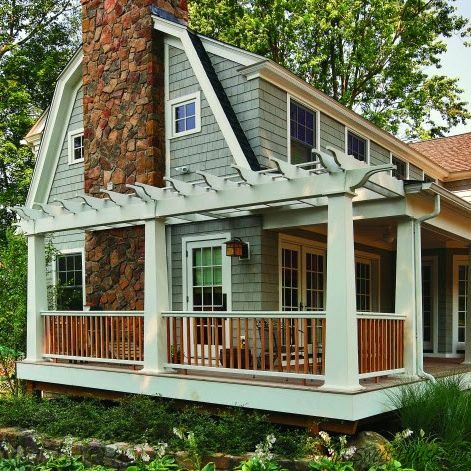 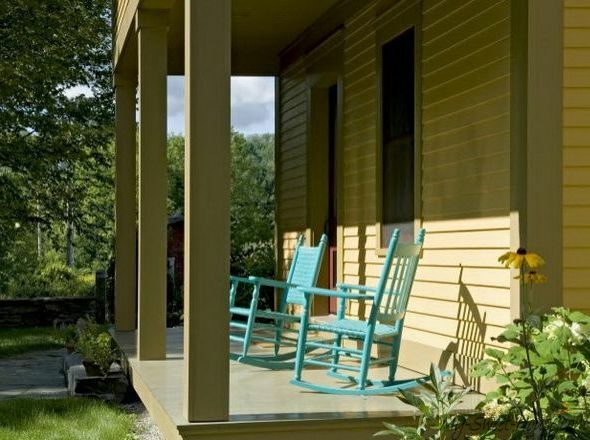 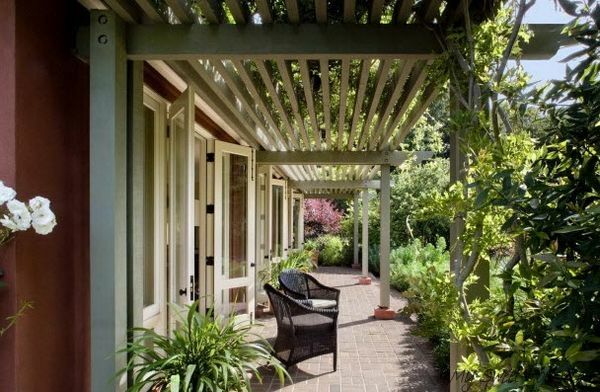 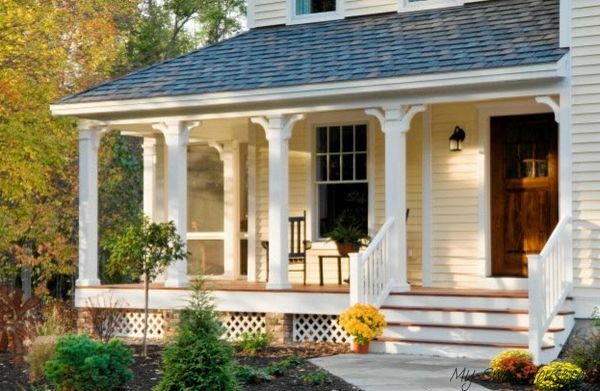 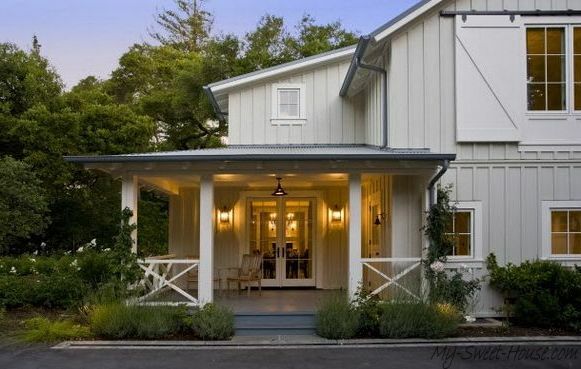 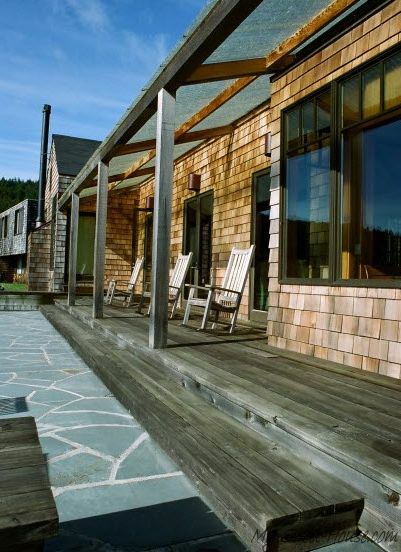 Usually built in verandas are made of the same materials as the house itself. 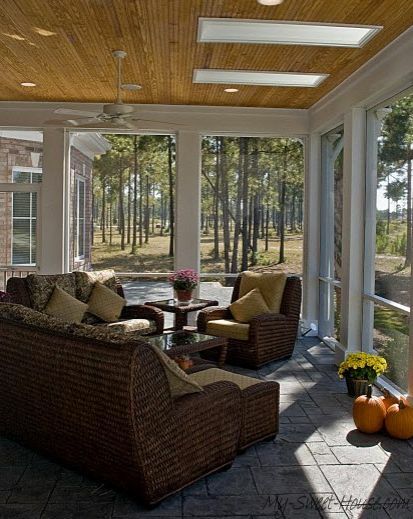 In wooden houses it is made of timber or logs, in the brick – brick. 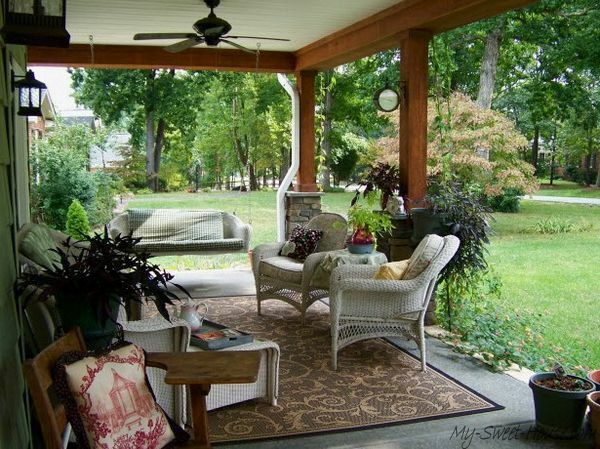 But this is not necessarily the rule. 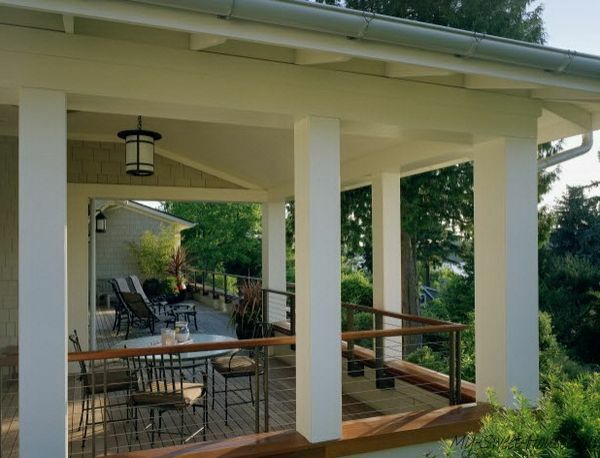 Veranda’s foundation is recommended to be done of the same depth as the foundation of the house to avoid any possible distortions. 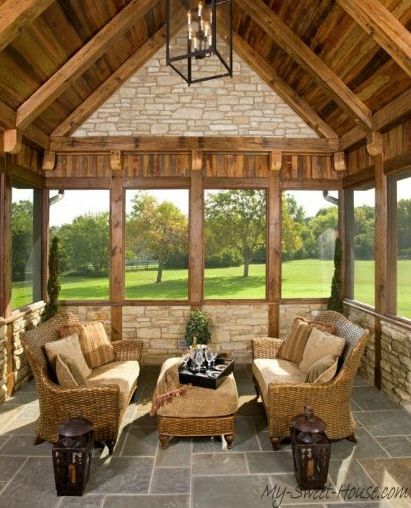 The frame is usually made of boards or logs. 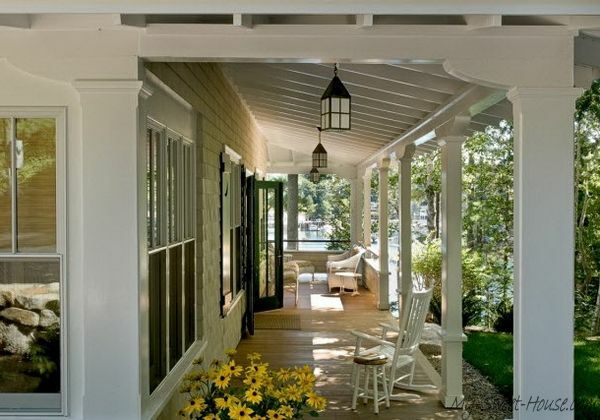 The walls and roof of the veranda should fit to dock to the house. 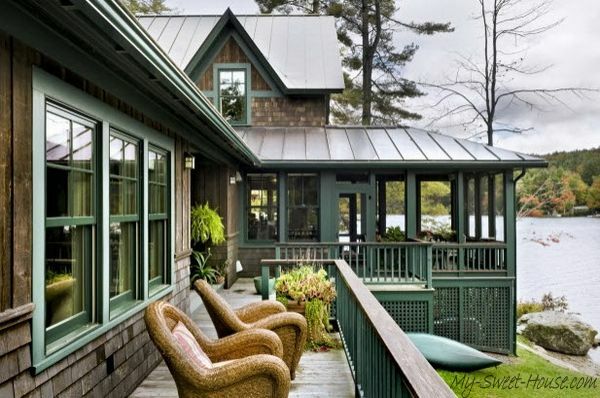 The roof is often lean and flatter than the roof of the house. 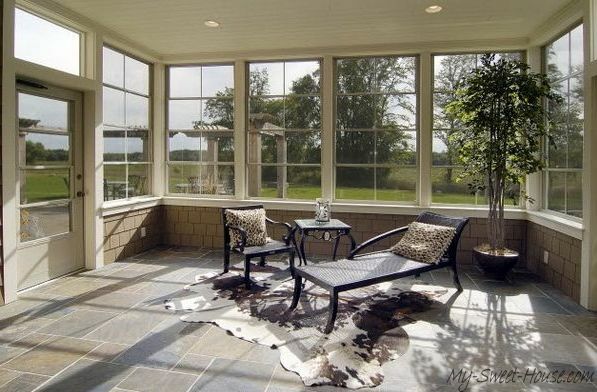 Nowadays, sliding walls have gained a huge popularity, and it is truly comfortable in all aspects. 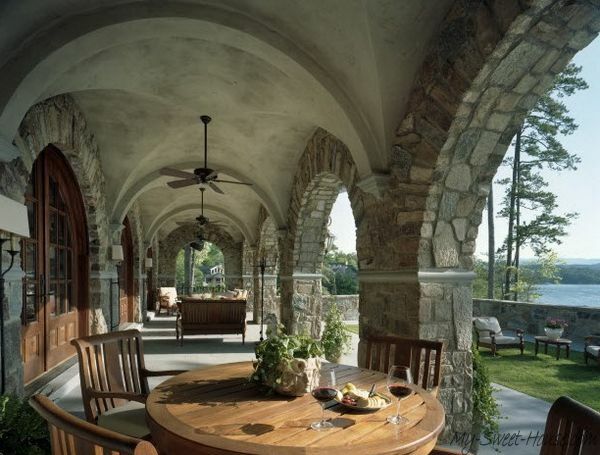 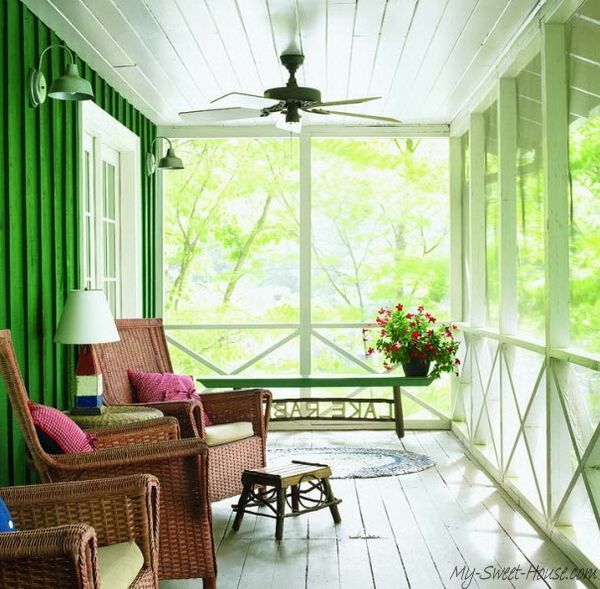 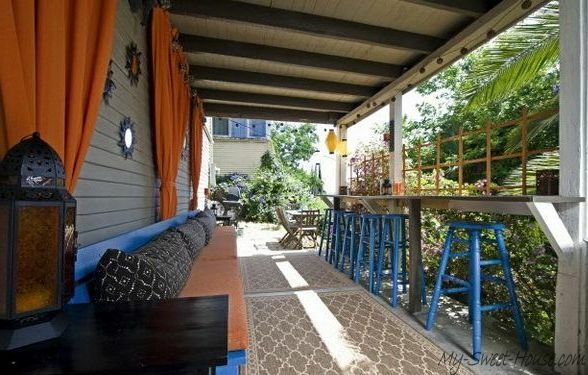 Parting the walls, you can easily turn the veranda into the summer terrace. 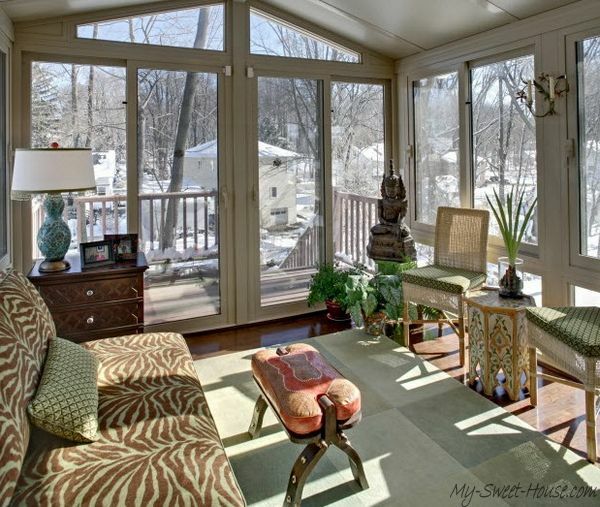 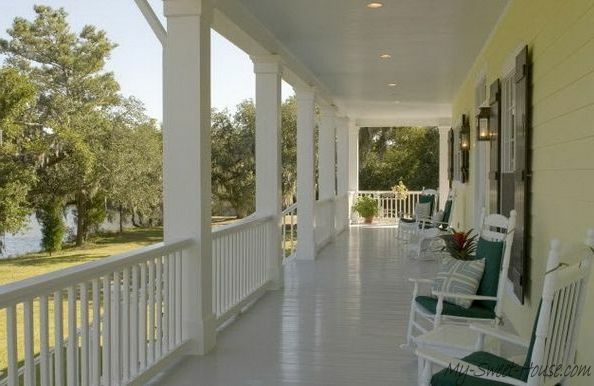 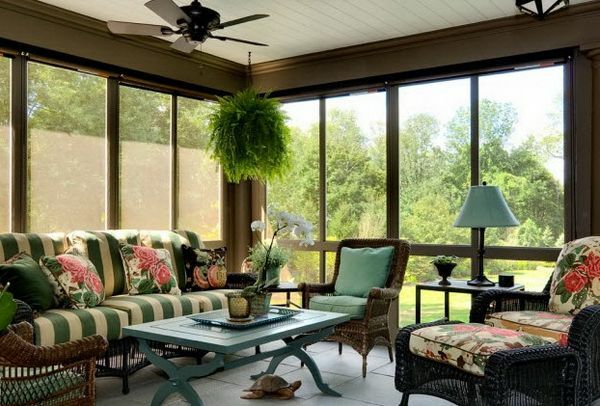 Classical veranda should be bright place, and its sides are set with 2-3 large windows. 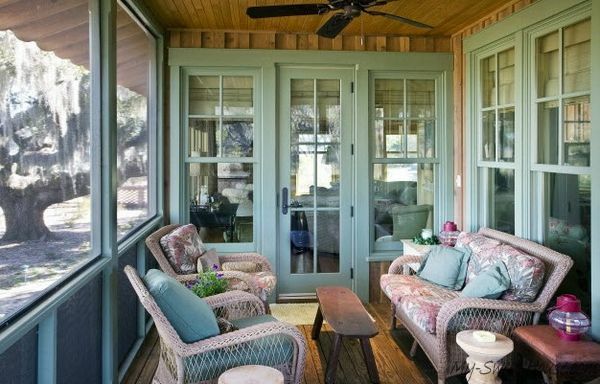 Most of the walls in the veranda have windows; therefore such large furniture as cabinets, shelves, bookcases is placed at a blank wall. 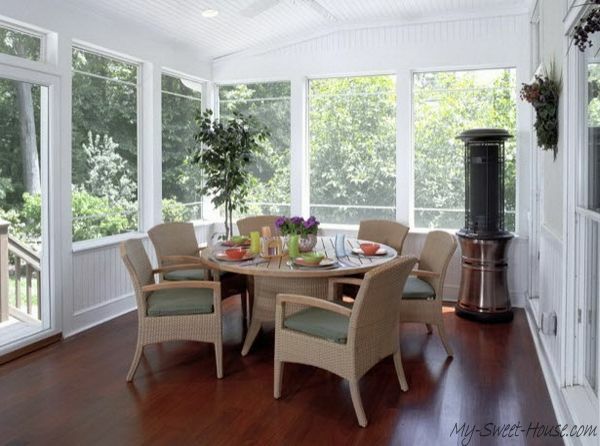 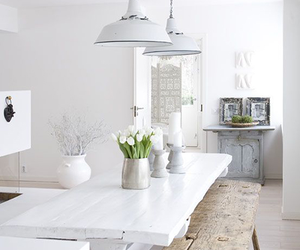 Usually you can place a table, chairs and sofas in the center or close to the window. 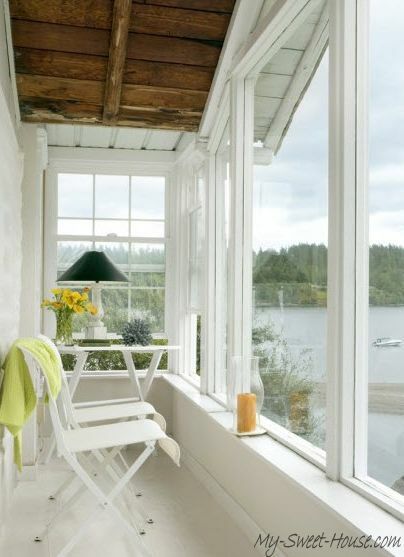 To save space, you can use folding table, fitted to the window sill. 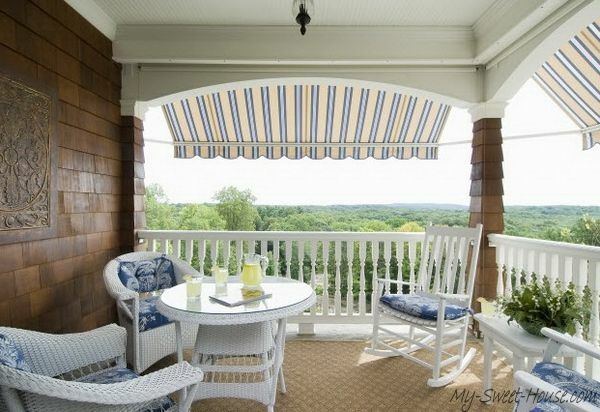 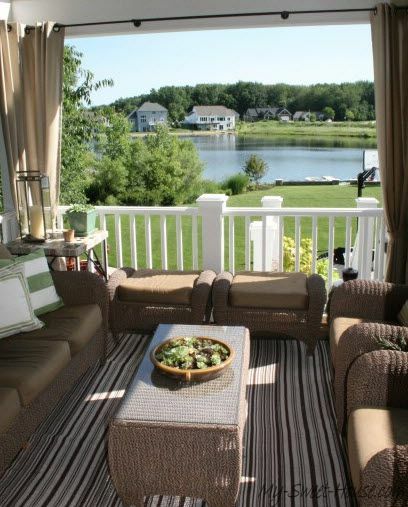 Since the veranda is a very sunny room, it is worth to hang curtains, blinds or curtains made of straw on the windows. 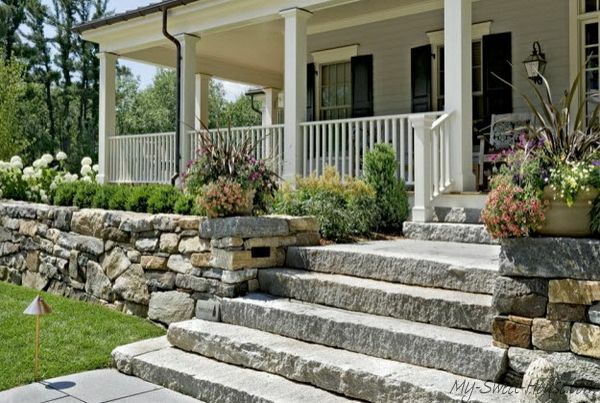 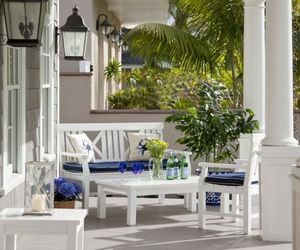 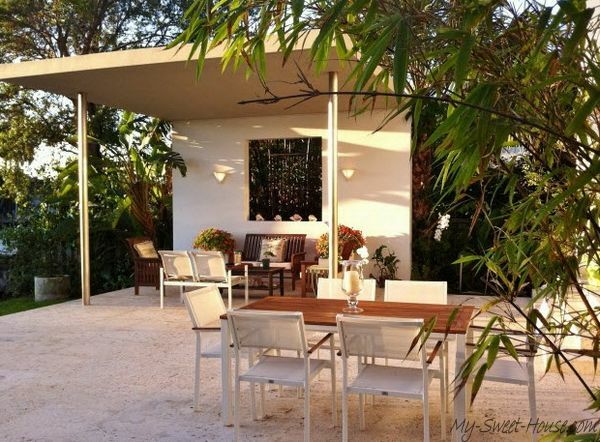 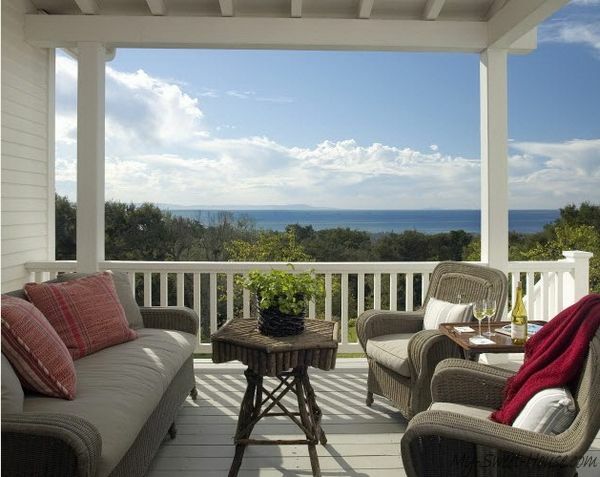 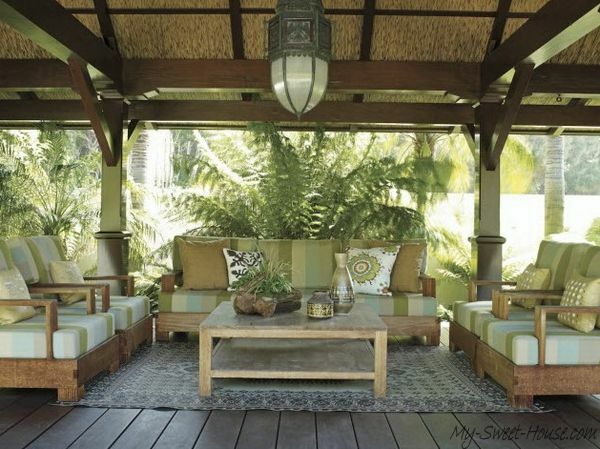 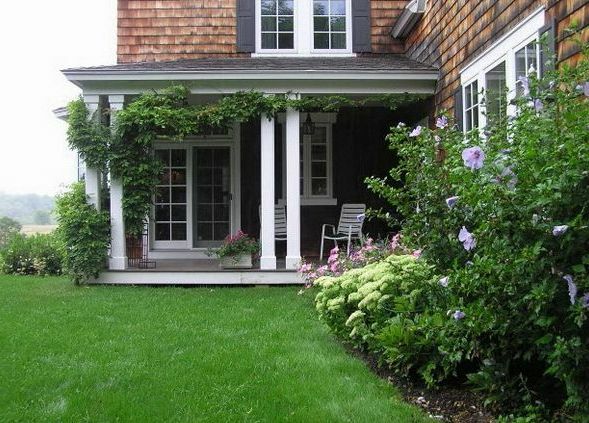 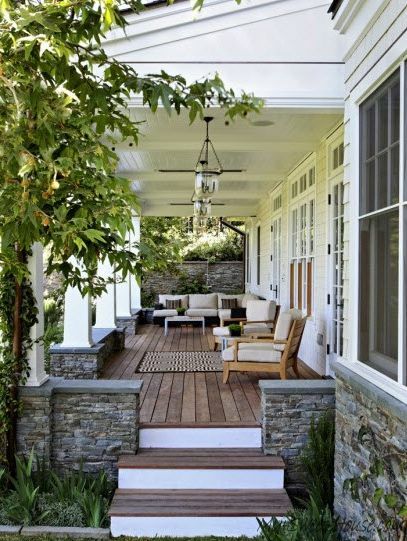 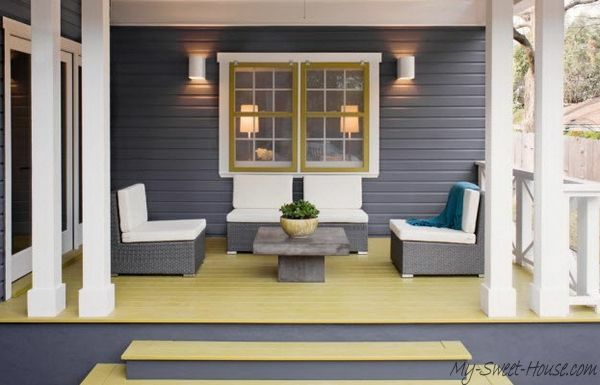 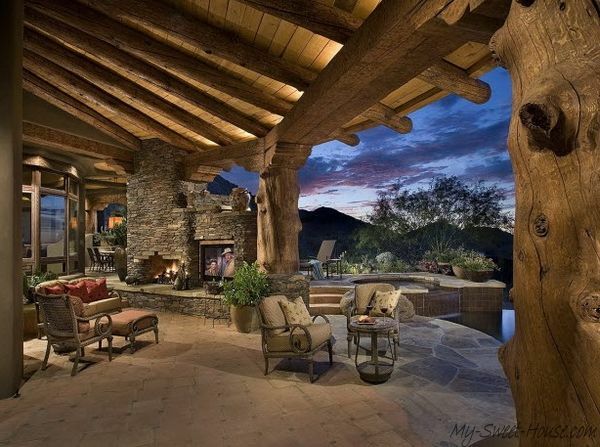 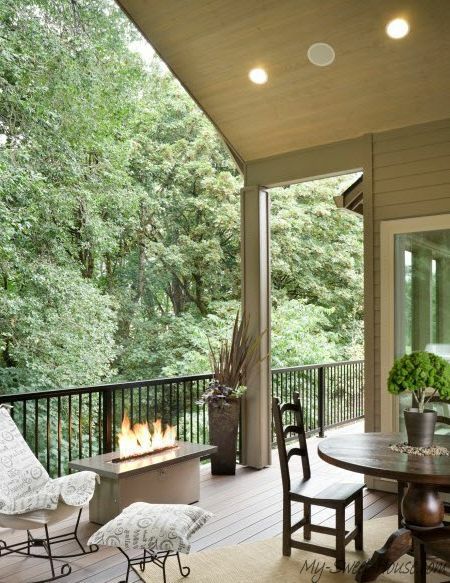 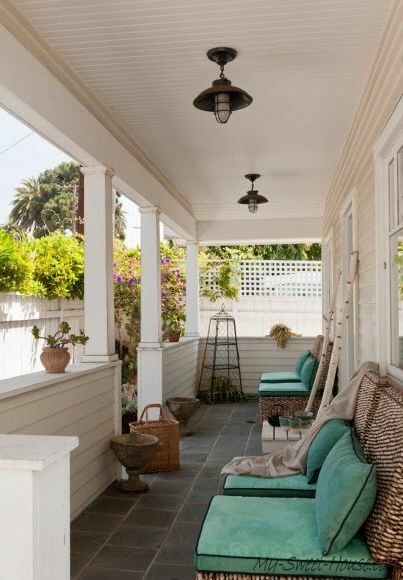 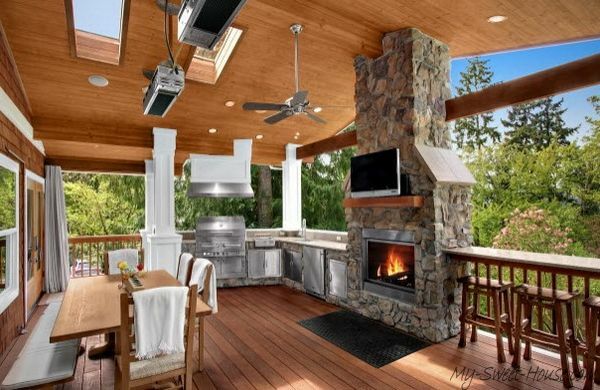 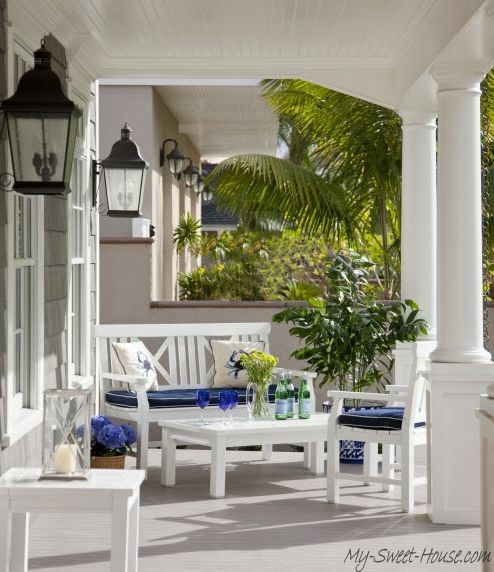 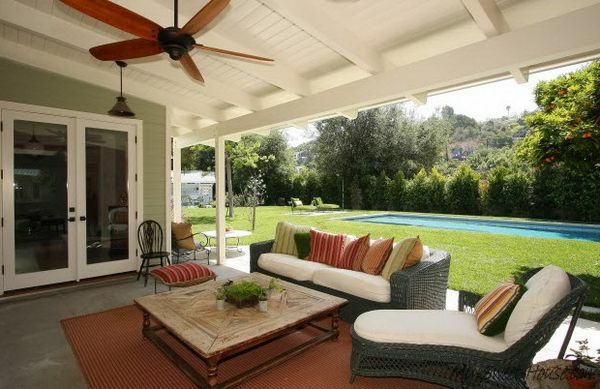 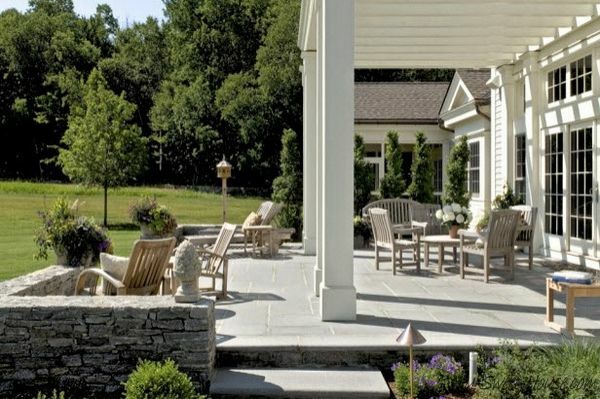 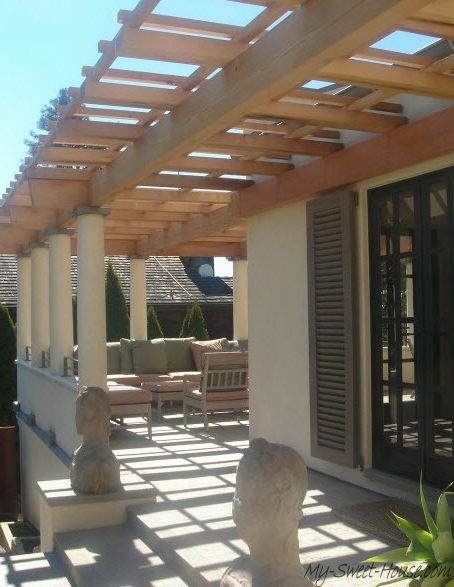 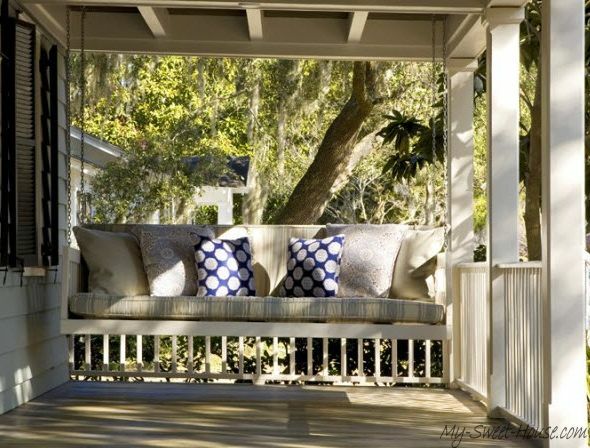 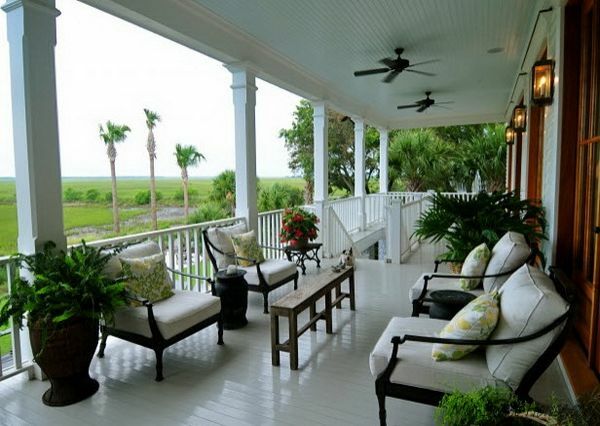 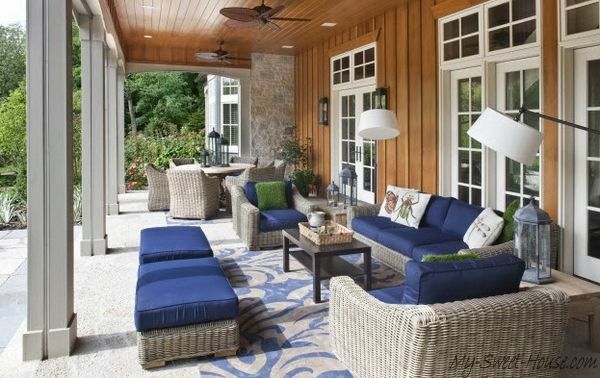 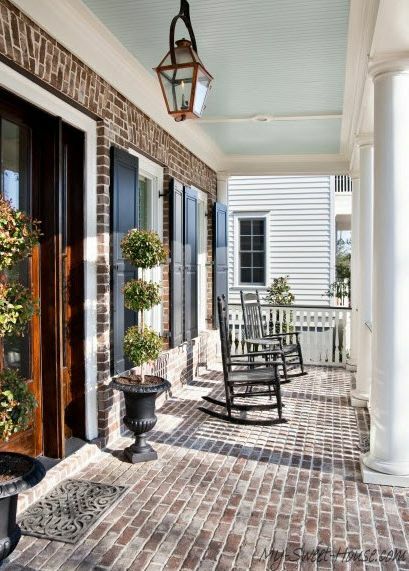 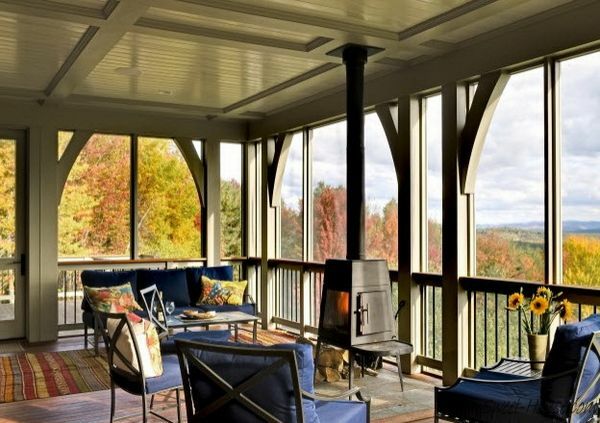 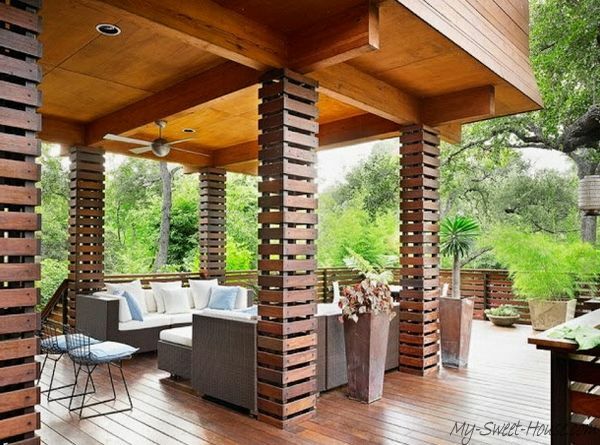 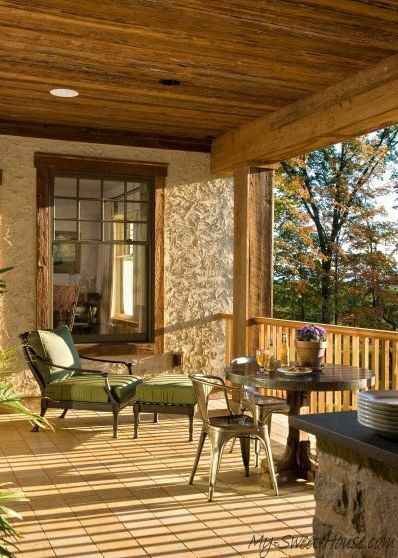 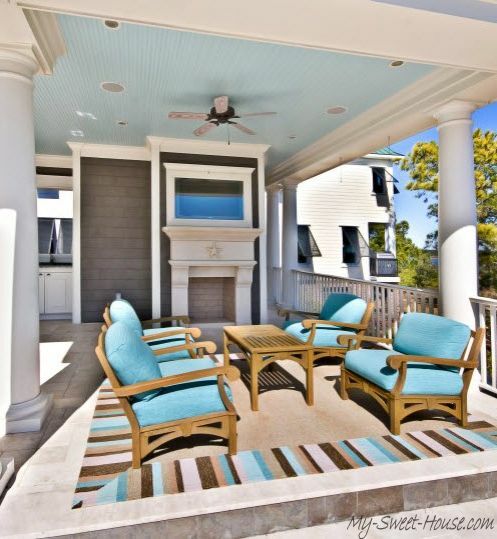 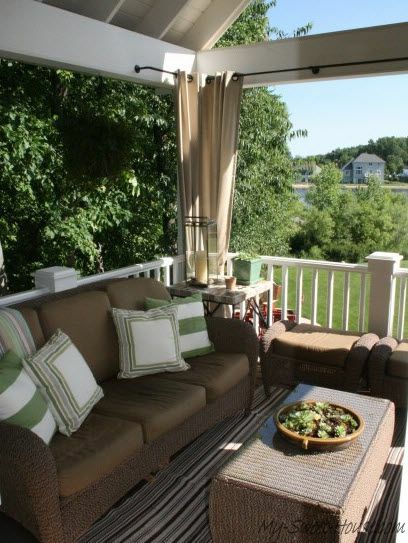 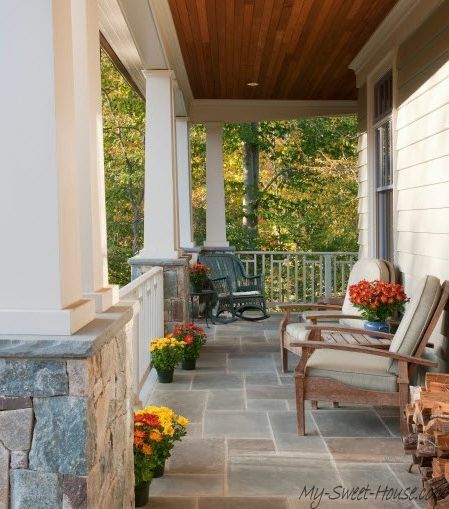 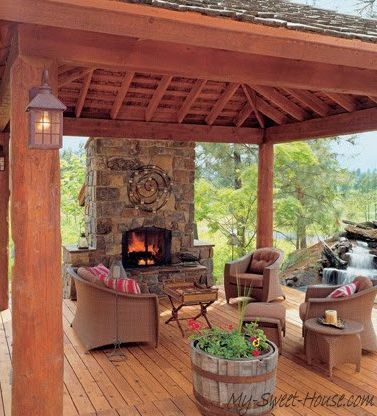 Check out below photos of veranda decorating ideas and design solutions.